Boxer was the finest album of 2007. There will be no cat-calls from the crowd in opposition to this claim. Its enigmatic, earnest poise charms all who come into contact. It is an enchanting smile from a loved one in the waking moment as the sun sneaks through the (white) curtains and covers the young lovers in honey dew. 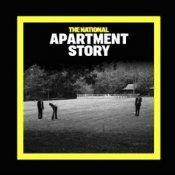 'Apartment Story' is taken from the album and even out of its natural context the track is still a masterpiece. It is out of place in any epoch, almost supernatural in its majesty. The everyman lyrics allow the listener to identify with the foibles of life in the city, the moments when we look up and realise how spectacular life actually is. Moments of absolute clarity amid the tumult. The Cincinnati quintet has the talent to lift the hex from any moment, a total ability to convince doubters and silence any argument. More than a single track, 'Apartment Story' is a ringing demonstration of the power of music. It is what we search for, through the hundreds of empty impostors and endless dross churned out by popular culture. Something immaculate and genuine. A real work of art. Watch the video to 'Apartment Story' HERE.